The study found 63 percent higher prevalence of hypertension when estimated through a single BP measurement, compared to an average of multiple measurements. 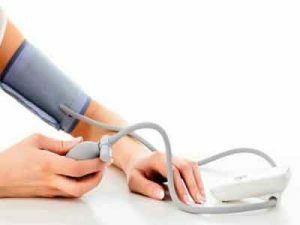 The study conclusion pointed out that at least three repeated measurements of BP during a clinic visit is required to reduce inaccurate classification of a patient’s true condition and prevent misdiagnosis, a recent study has stated. Either due to patient load or lack of awareness among physicians, often single blood pressure measurement is used to diagnose and manage hypertension. This results in many people being diagnosed as having high blood pressure and often receive the treatment they may not need. It has implications for India’s newly launched National Health Mission in India under which the health and wellness centers (HWC) play a pivotal role in the detection and management of non-communicable diseases, especially hypertension. “Medical practitioners must be encouraged to adopt the practice of repeated measurements in the same visit with the mean of the second and third measurements being the clinic BP, especially in patients with high blood pressure. This will prevent mismanagement and misdiagnosis of patients,” Dr Roy said. PLB NSD.